The main living area includes an open floor plan with hardwood floors, vaulted ceiling, and ceiling fan in the living room. 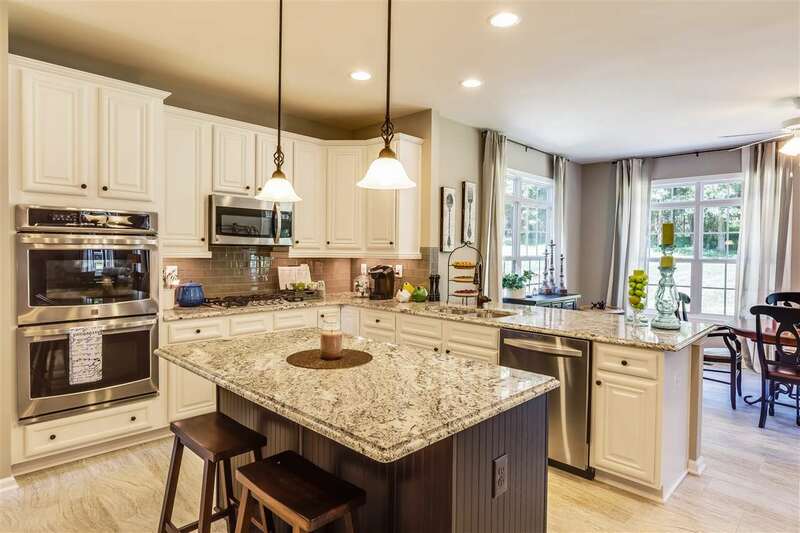 Within the kitchen you\'ll notice a spacious eat-in area, vinyl floors, granite counter tops, stainless steel appliances, pantry, & tons of storage space. The master bedroom offers an attached full bath w/ double vanity, large tub/shower, separate toilet room, as well as a 6\'x7.5\' walk-in closet. Outside there is an 6\'x26\' covered front porch and a 12\'x12\' rear deck. Construction should be complete by April 2019. 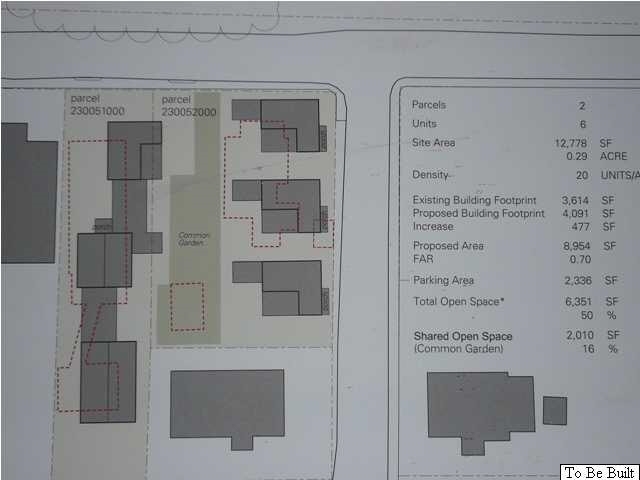 There are attached plans, specs and plat in MLS. Finished photos are of another home recently completed by the same builder w/ SIMILAR LAYOUT AND FINISHES, and are FOR EXAMPLE ONLY. 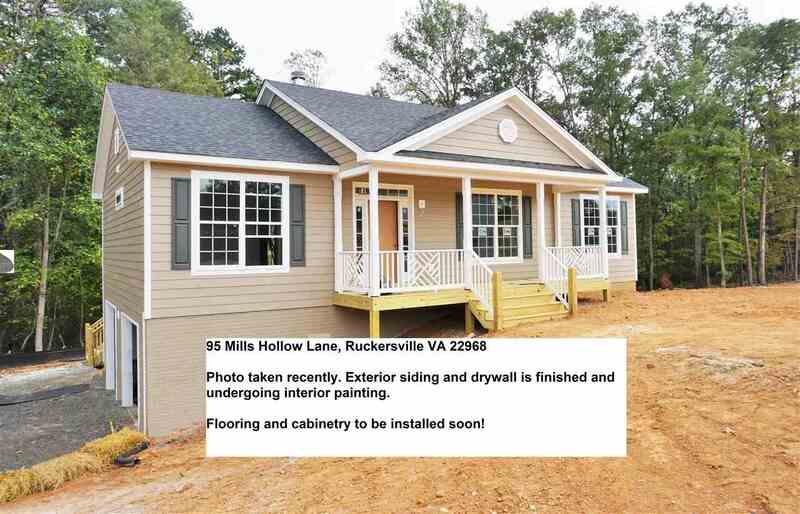 To speak with a Charlottesville Realtor about this home: call 434-220-0256 E-mail us! 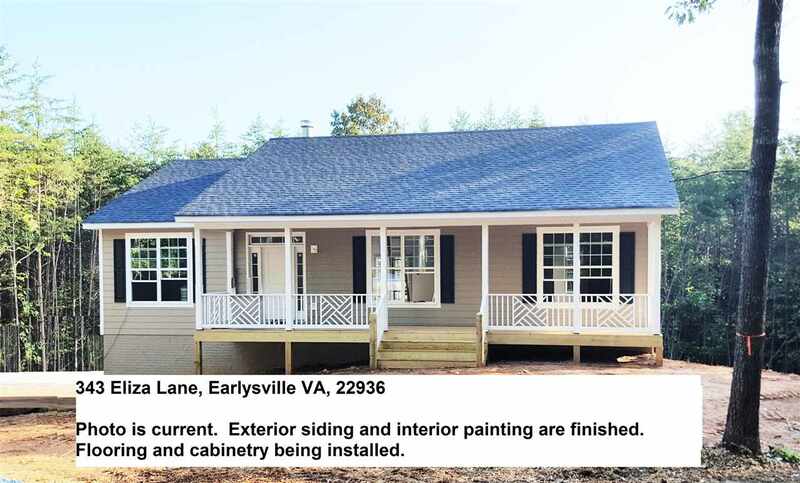 New Home Listing in Fluvanna! Coming Soon and Similar to Photos, The Montpelier features 4 bedrooms, 2.5 baths, 2 car garage, master suite with private bath and garden tub, hardwood floors on entire first level, open kitchen with 2x4 island, stainless steel appliances, 36\" wall cabinets with crown, 10x14 deck, pull down attic stairs for storage, dimensional shingles, and so much more! Septic system designed for 3 bedrooms - accommodates 6 person occupancy. Introducing the New Patton Plan! This 4 Bedroom, 2.5 Bath features a Master Suite with 5 ft shower, Gourmet Kitchen with Granite Counter Tops, Brellin Kitchen Cabinets, Stainless Steel Appliances, Hardwood Floors in Foyer, Kitchen, Dining Room, and Half Bath, upgraded Interior Doors and Windows, 10x12 Rear Deck, Pull down Attic with Stairs for Extra Storage, Dimensional Roof Shingles, and so much more! Septic system designed for 3 bedrooms - accommodates 6 person occupancy. 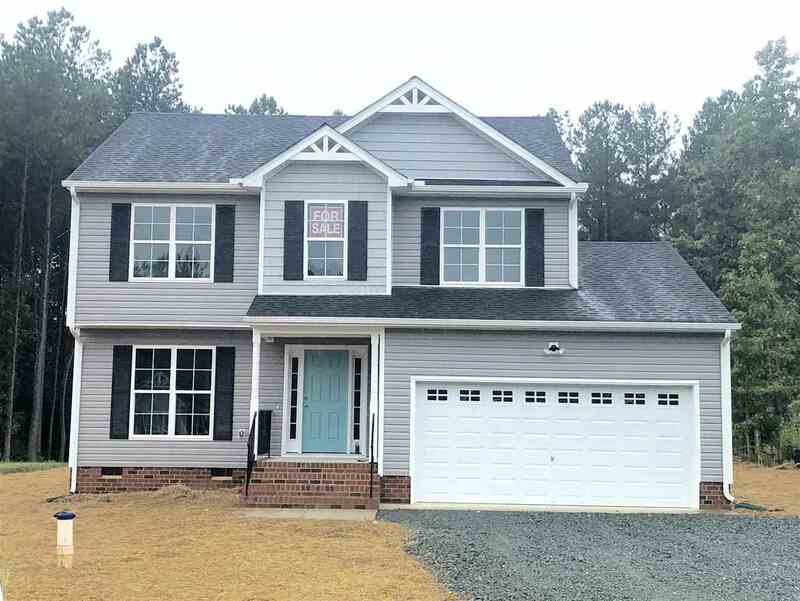 New Home Listing in Albemarle! New Home Listing in Greene! 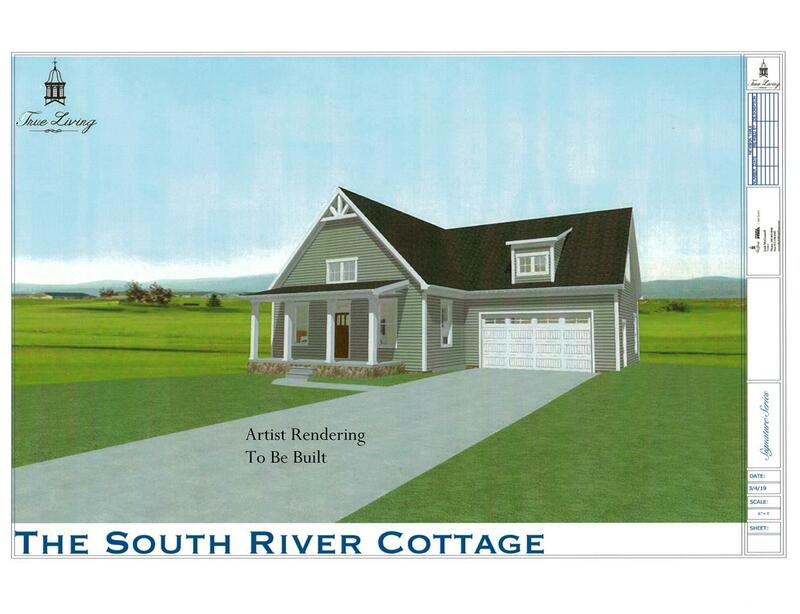 Don\'t miss this new home being built WATERFRONT on a 100 acre lake! Home to be built is similar to picture but with only a few steps to enter. You will love the full basement with 4th Bedroom and huge family room. Enjoy sitting on the deck looking at the water! 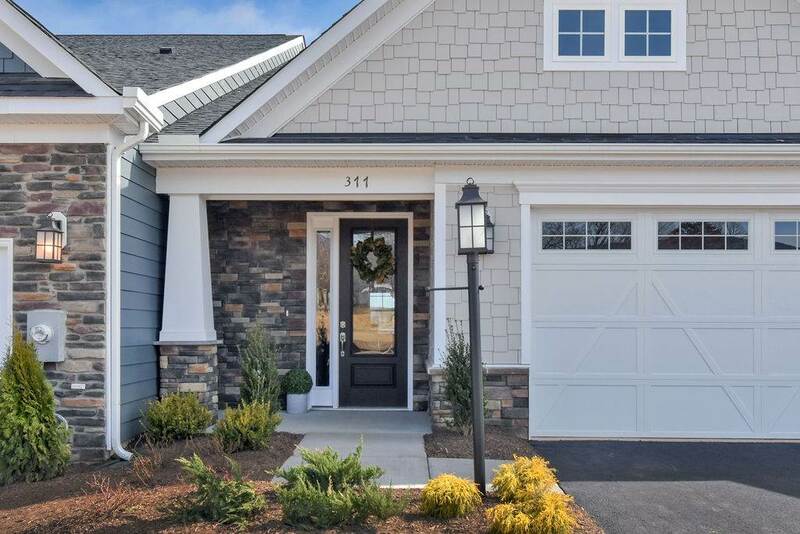 Exterior has low maintenance with Vinyl siding and the interior boasts an open floor plan on the main level, with wood floors and ceramic tile in baths! Special features include a Granite counters in kitchen, a wood burning fireplace, deck and front covered porch. Buy now and you may pick some selections like flooring , cabinet and granite colors! 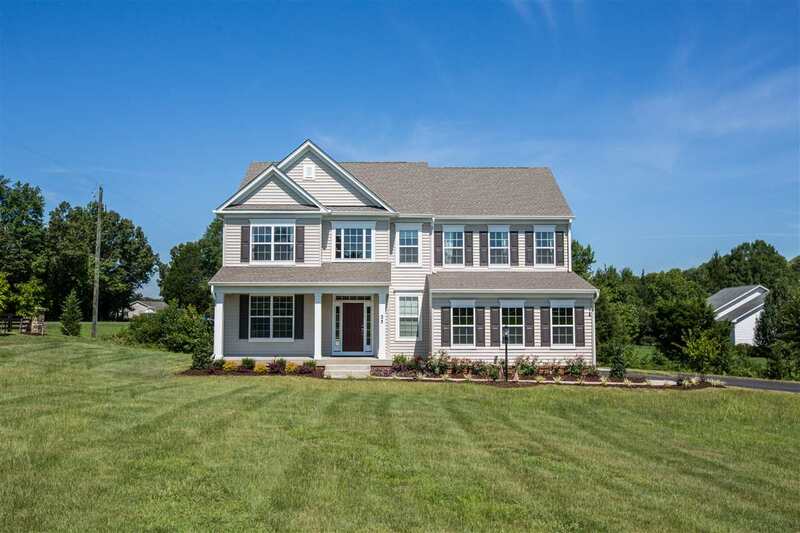 New Home Listing in Waynesboro! TO BE BUILT Eliot plan 2.234 finished sq. ft. on full basement. Open floor plan, HW in foyer. Tile surrounds in all baths. 42\" maple cabinets, granite, kitchen island, black appliances. 9 foot ceilings and cased Low-E windows. 15 SEER HVAC and programmable stat. Opt rec room, den/bed, and full bath in lower level. PHOTOS ARE OF A MODEL HOME. 1/2 off options up to $30,000 (up to $15,00 in discounts) PLUS up to $7,500 in closing cost assistance with use of Atlantic Builders preferred lenders and title company No model at this location, homes to preview in Spring Creek. Sales office located in Spring Creek, 910 Bear Island Pkwy., Zion Crossroads. TO BE BUILT Caldwell plan 1,806 finished sq. ft. on full basement. Owners & secondary bedrooms on the main level. HW in foyer. Tile surrounds in all baths. 42\" maple cabinets, granite, island, black appliances. 9 foot ceilings and cased low-e windows. 15 SEER HVAC and programmable stat. Opt loft/bedroom and with full bath up. Opt rec room, den/bed, bath and flex space in lower level. 1/2 Off Options up to $30,000 (discount up to $15,000) PLUS up to $7,500 in closing cost assistance with the use of Atlantic Builders preferred lenders and title company. No model at this location, homes to preview in Spring Creek. Sales office located in Spring Creek, 910 Bear Island Pkwy., Zion Crossroads. TO BE BUILT Montvale plan 2,392 finished sq. ft. on full basement Hardwood in foyer. Tile surrounds in all baths. Walk-in pantry, 42\" maple cabinets, granite, black appliances. 9 foot ceilings, and cased windows. Mud room. 15 SEER HVAC, and programmable thermostat. TO BE BUILT - PHOTOS ARE OF A SMIMILAR HOME. 1/2 off options up to $30,000 (discount up to $15,000) with use of sellers preferred lender and title company! No model at this location, homes to preview in Spring Creek. Sales office located in Spring Creek, 910 Bear Island Pkwy., Zion Crossroads. TO BE BUILT Chesapeake plan 1,912 finished sq. ft. on full basement. Owners & secondary bedrooms on the main level. HW in foyer. Tile surrounds in all baths. 42\" maple cabinets and granite, black appliances. 9 foot ceilings and cased windows. 15 SEER HVAC and programmable stat. Opt studio and BR w/bath up. Opt rec room, den/bed, bath and flex space in lower level. PHOTOS ARE OF MODEL HOME AND SHOW OPTIONS. 1/2 Off options up to $30,000 (discount up to $15,000) PLUS up to $7,500 in closing cost assistance using Atlantic Builders preferred lenders and title company. No model at this location, homes to preview in Spring Creek. Sales office located in Spring Creek, 910 Bear Island Pkwy., Zion Crossroads. TO BE BUILT Griffin plan 2,584 finished sq. ft. on full basement. Four bedrooms 2.5 baths. Hardwood in foyer. Tile surrounds in all baths. 42\" maple cabinets, island, granite, black appliances. 9 foot ceilings, cased windows. 15 SEER HVAC and programmable thermostat. Opt rec room, den/bed, bath in lower level. Photos are of a model home. 1/2 off options up to $30,000 (discount up to $15,000) PLUS up to $7,500 in closing cost assistance with use of sellers preferred lender and title company. No model at this location, homes to preview in Spring Creek. Sales office located in Spring Creek, 910 Bear Island Pkwy., Zion Crossroads. 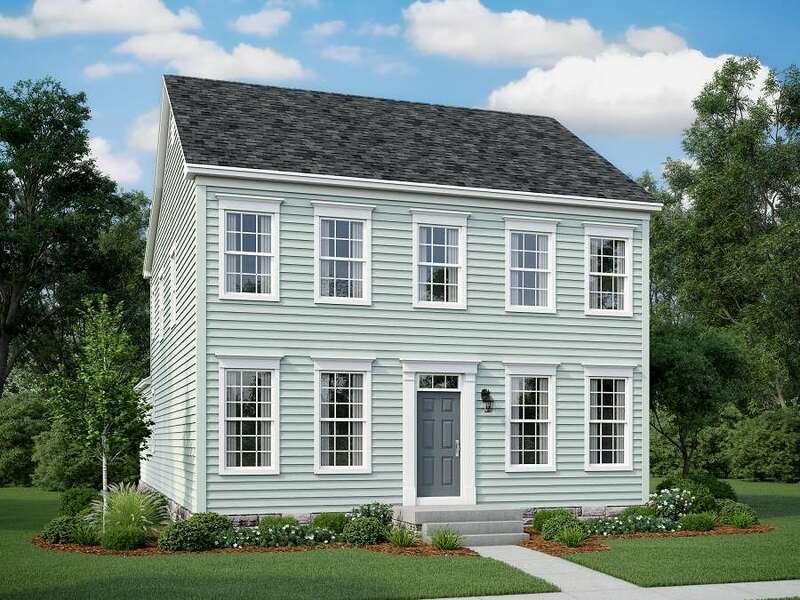 TO BE BUILT Chesapeake plan 2,043 finished sq. ft. on full basement. Owners & secondary bedrooms on the main level. Tile surrounds in all baths, double vanities in owner\'s bath. Kitchen features 42\" maple cabinets and granite counter tops, stainless appliances, large island, pendant and recessed lights. 9 foot ceilings and cased windows. 15 SEER HVAC and programmable stat. Hard wood in foyer, family room, kitchen, and dining room Opt rec room, den/bed, bath and flex space in lower level. Deck and patio. PHOTOS ARE OF MODEL HOME AND SHOW OPTIONS. No model at this location, homes to preview in Spring Creek. Sales office located in Spring Creek, 910 Bear Island Pkwy., Zion Crossroads. 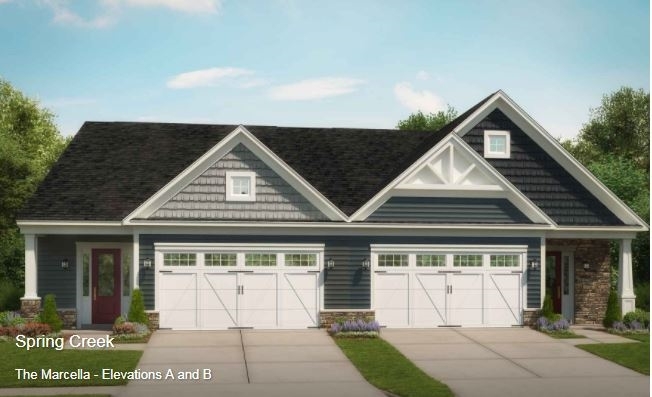 Designed with livability in mind, this home with a 2 car garage and unfinished basement has a main level master suite, great room, kitchen, dining, powder room, and mudroom. Upstairs are 2 additional bedrooms, 2 full baths, unfinished storage, and a loft. Enjoy coffee or cocktails on your screened porch while you enjoy the wooded backyard views! Natural gas gourmet appliances and fireplace, hardwood throughout the main level, and other high-end finishes throughout. Room for expansion by finishing the basement if you choose! Complete and ready to tour- actual photos coming soon! 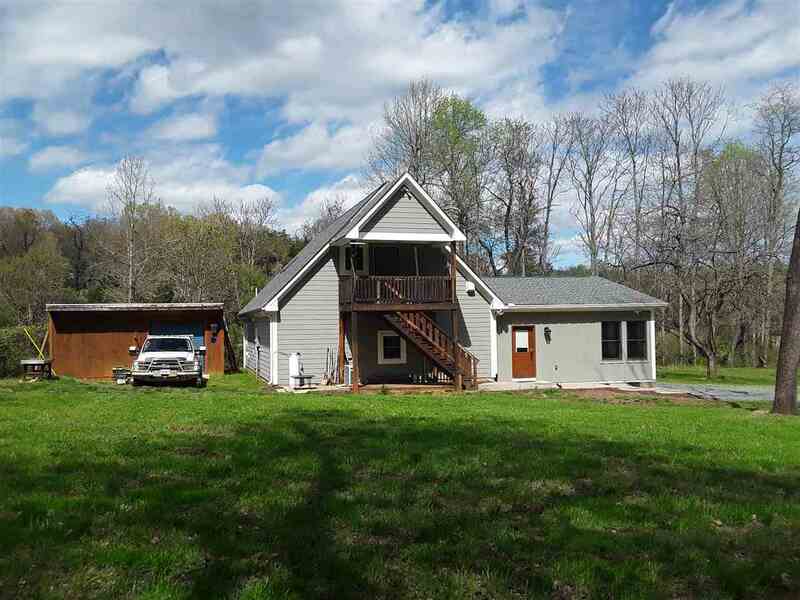 This unique Ivy property offers a versatile set of options to be an income producing property on 3.86 acres with 2 buildable lots & main house just 7 miles from Cville. The 1800 sq ft ground level addition has 2 BRs w/attached Baths, a Great Room with gas fireplace, eat-in bar space, heated floors in kitchen and all bathrooms. The kitchen is for a the serious chef with a commercial oven and dishwasher with generous cabinet & counter space with high end features to complete the space. There is a 2nd living space with an outside entrance to a 2nd floor apartment w/1 BR & Bath with an open floor plan. It also features a large garage with roll-up door, electricity, concrete floor plus an open shed with electric. Come see what is possible. New construction on private cul-de-sac in desirable Foothill Crossings. Currently under construction, this bright, open floorplan offers high end finishes and attention to detail. The first floor features a bright, two story foyer, an open concept kitchen/living/dining and private owner\'s suite with tiled bath, stone counters and walk in closet. The kitchen boasts an oversized, stone island with Wellborn cabinetry and stainless Kenmore appliances. Foundation poured this month, framing to being within 30 days, there is still time to make your own selections for floors, cabinets, counters, and more. Call today to learn more. See documents for full spec finish list. Looking for value in a custom, energy efficient, low maintenance, green 4 bedroom home w/ detached 4 car garage featuring an apartment. Many upgrades include chef\'s kitchen two large porches w/ views of park & Southwest Mountains. Want to make some changes? This home can be customized to meet your needs. A renowned local architect designed the home for you to personalize. Don\'t settle for less, make The Griffen your home! 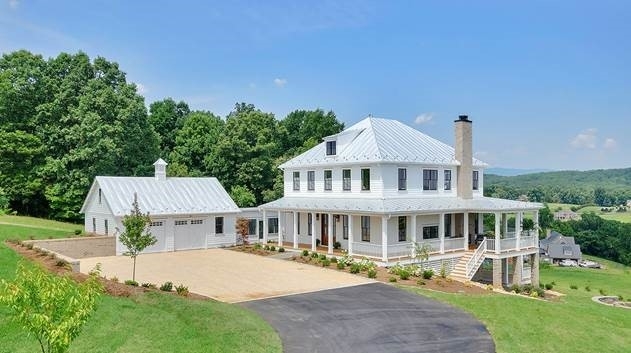 Bring your own builder or partner with a truly local, custom builder in Handley to create this classic farmhouse w/ contemporary interior design & flow. Quality workmanship, superior finishes & handsome architectural details.This 8.51 acre parcel offers level to gently rolling, semi-open topography & is dotted w/ hardwoods, ensuring shaded lawns & play areas. Mountain views to the NW could be enhanced w/ selective clearing. This neighborhood of 4 to 23 acre parcels offers 6 picturesque building opportunities. 3 parcels front on or enjoy private ponds. 10 minutes to Waynesboro, 6 mins to Brownsville/Henley/Western Crozet amenities, 15 to Charlottesville. 5 houses completed. VDOT roads. Comcast high speed internet is here! 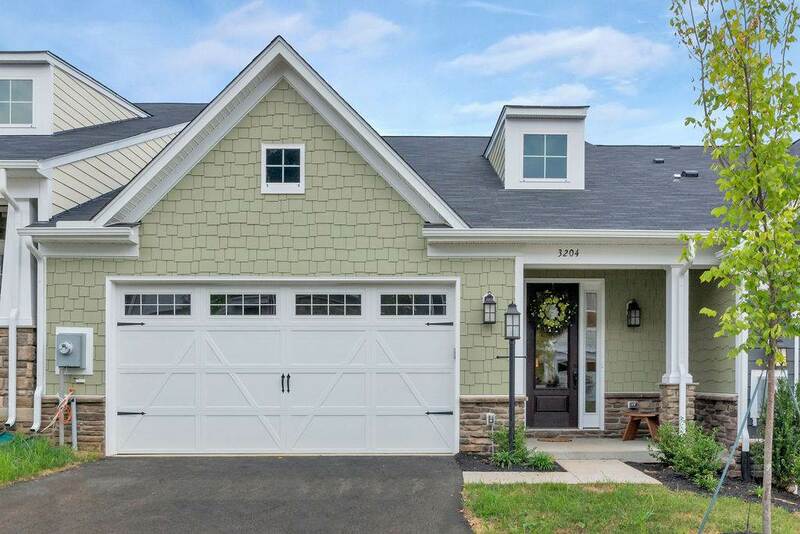 Bring your own builder or work with a truly local, custom builder whose homes are built to exacting standards w/ ample use of architectural trim details, solid doors, 2X6 exterior walls, high-efficiency HVAC equipment. Rinnai tankless water heaters, dense pack cellulose insulation.This supremely quiet 4.5 acre lot offers breathtaking views at an open, almost level building site at the center of the cul de sac at the back of Handley. In addition to the open building site, nice hardwoods can be selectively cleared to open up views further yet protect privacy & a tree-dotted setting. 10 minutes to Waynesboro, 6 minutes to Western Schools & Crozet amenities, 15 to Charlottesville.VDOT roads. Comcast high speed internet is here! 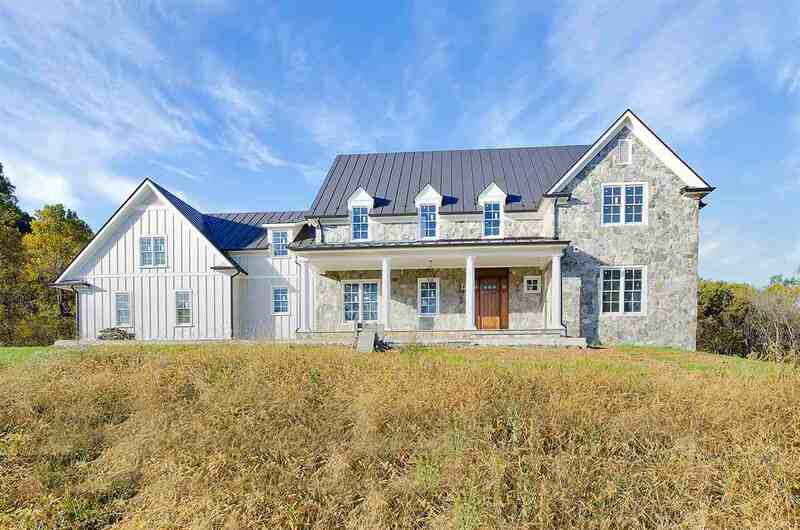 Build this dramatic stone home by a truly local, custom builder on Parcel 9 in Handley. At just under 8 acres with well in place it might be the most \'build-ready\' parcel in the 12 lot community. The dead level, expansive, open portion overlooks jaw-dropping mountain views & backs to almost 100 acres in conservation easement providing exceptional privacy to the rear&sides of the home site. This neighborhood of 4 to 23 acre parcels offers 12 picturesque lots.Most parcels offer incredible mtn views as well as open, level building sites & a nice mix of open/wooded acreage. Under 10 minutes to Waynesboro, 6 mins to Brownsville/Henley/Western + all Crozet amenities, 15 to Cville. VDOT roads.Comcast high speed internet is here! Located just minutes from the Downtown Mall, this home offers beautiful, designer inspired finishes. The effortlessly open floorplan has a spacious galley kitchen which leads to an outdoor deck that is perfect for an evening of entertaining friends and family. Soak up the Carter’s Mountain views from the rooftop terrace or while playing with your dog in the neighborhood dog park. Enjoy a weekend complete with a dinner and a movie at 5th St. Station, conveniently only a mile away! End of 2019 Completion. Similar photos. For more info:Call Gayle Harvey Real Estate at 434-220-0256 E-mail us! To Be Built! Thoughtfully designed floorplan with the entertainer in mind! Spacious, open main level is perfect for effortless family gatherings.We have added an 8\'x18\' deck to enjoy mountain views to the east and west. This convenient community is an easy walk to Harris Teeter, Bonefish Grill, Starbucks and more! Stroll to the weekly farmer\'s market at Hollymead Town Center to take advantage of the local produce. 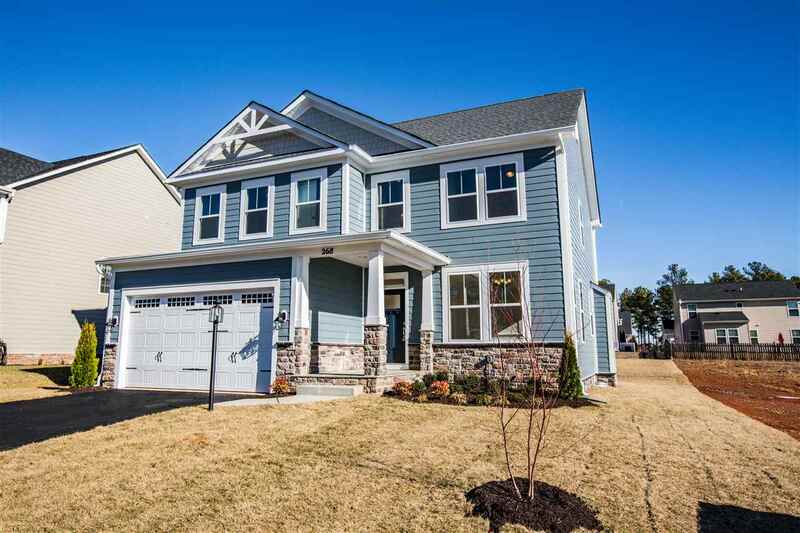 Now selling from the Perry model at 2724 Avinity Lane, Charlottesville, VA 22902. Open Saturday - Wednesday from 11am-5pm and also by appointment. Similar Photos. Details about The Perry \"k\"
To-be-built in Spring Creek. Resort style amenity filled, gated, golf course community only 15 east of Charlottesville. Our Gaines is an attached home with a very spacious configuration and featuring a main level Owner\'s suite. Features also include 9\" ceilings a beautiful kitchen with island, granite, stainless steel appliances and hardwood floors. Upstairs includes two bedrooms and a full bathroom. Other features include tankless water heater, Hardie plank siding, stone, fireplace, and much more. 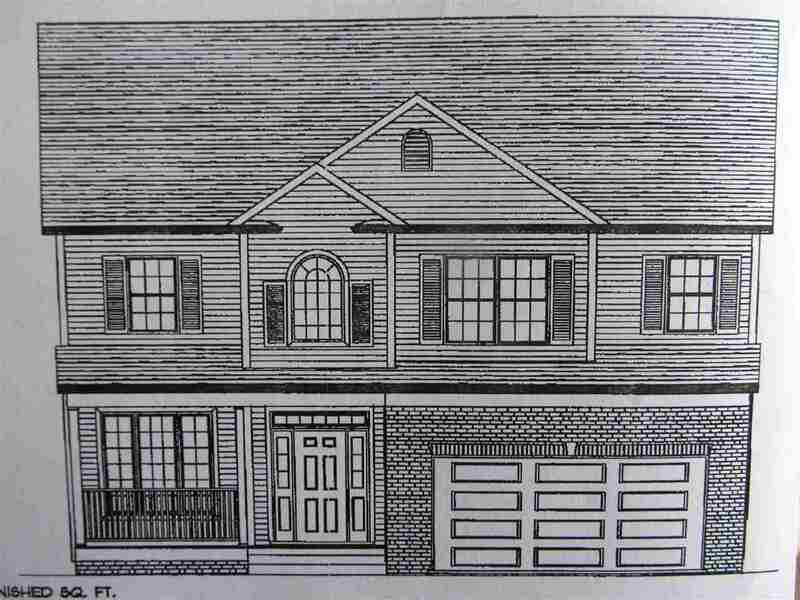 New Proposed Construction Listing in Waynesboro! This home is our furnished model, open Tuesday - Sunday from 12-5. The beautiful Wallace plan, packed to the brim with options and extras! 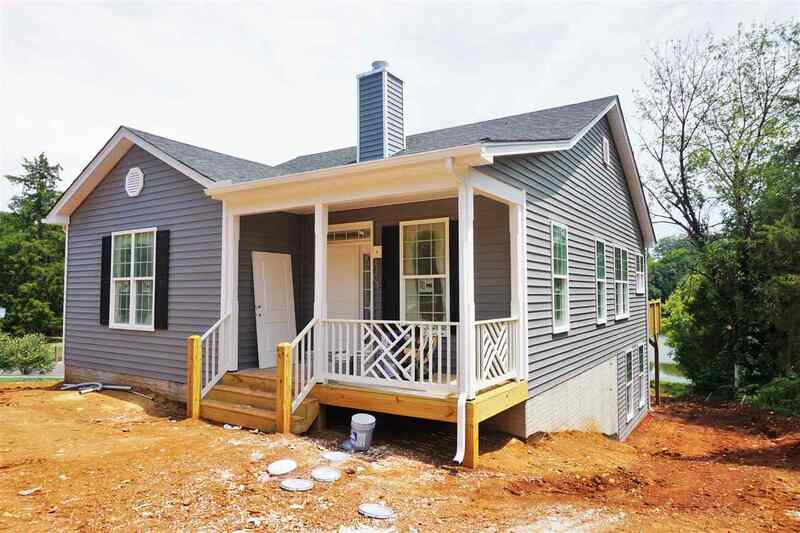 We can put this home as built on your own lot, or select a lot from one of the many options this builder has available. Stop by to look through over 70 floor plans. o Be Built. Custom builder will make changes/customize plans. Ask agent for builder~s interactive website to view additional models & floor plan. Energy conscious. Plans have rough-in plumb in bsmt. Builder offers 5K towards buyer\'s CC if buyer uses 1 of approved lenders & title co. Photos may show options not included in base price. No HOA & state roads. High speed Comcast internet available! PRE SALE FOR FALL 2019 DELIVERY! Thoughtfully designed floorplan with the entertainer in mind! Spacious, open main level is perfect for effortless family gatherings. With the optional loft and rooftop terrace enjoy mountain views to the east and west. This convenient community is an easy walk to Harris Teeter, Bonefish Grill, Starbucks and more! Stroll to the weekly farmer\'s market at Hollymead Town Center to take advantage of the local produce. 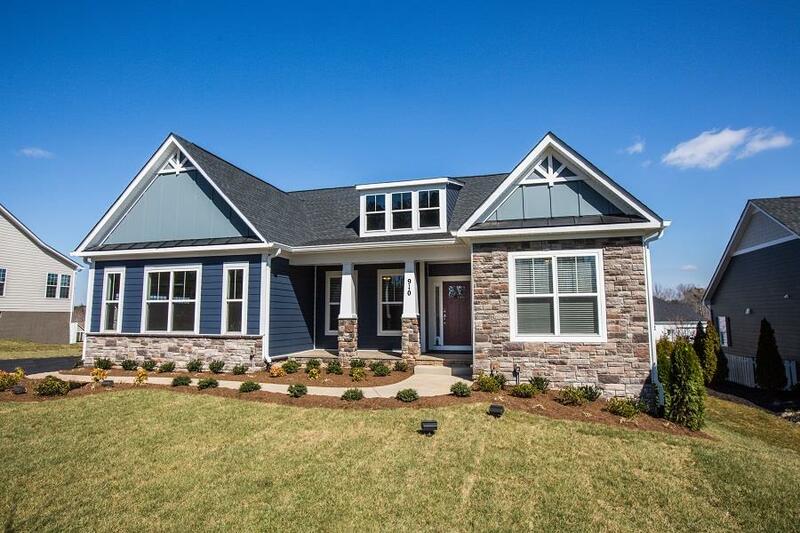 Now selling from the Perry model at 2724 Avinity Lane, Charlottesville, VA 22902. Open Saturday - Wednesday from 11am-5pm and also by appointment. Similar Photos. To-be-built in Spring Creek. Resort style amenity filled, gated, golf course community only 15 minutes east of Charlottesville. Our Marcella is an attached home with 10\' Ceilings and a very spacious layout featuring a main level owners suite. Features also include a beautiful kitchen with island, granite, and stainless steel appliances, tankless hot water heater, and hardwood floors. Upstairs includes two bedrooms, a spacious loft, and a full bathroom. Minutes to I 64 and shopping. Coming Soon-The New Whitney Plan! This 4 bedroom, 2.5 bath sits on a pond view site and features a master bedroom with private bath on the first floor which includes ceramic tile, garden tub, shower, double bowl vanity; Kitchen has granite countertops, 2x6 granite island, 36\" Lillian cabinets, stainless steel appliances; hardwood flooring in foyer, dining room, kitchen, hallway, half bath; gas fireplace in great room, Loft on the second floor and many more upgrades. Septic system designed for 3 bedrooms - accommodates 6 person occupancy. Under Construction. Hurry...Last Opportunity for June Delivery. Thoughtfully designed floorplan with the entertainer in mind! Spacious, open main level is perfect for effortless family gatherings. End Unit Townhome affords a very bright and light filled home. This convenient community is an easy walk to Harris Teeter, Bonefish Grill, Starbucks and more! Stroll to the weekly farmer\'s market at Hollymead Town Center to take advantage of the local produce. SUMMER Delivery! Now selling from the Perry model at 2724 Avinity Lane, Charlottesville, VA 22902. Open Saturday - Wednesday from 11am-5pm and also by appointment. Similar Photos. Under Construction. Last Opportunity for End Unit with June delivery. Thoughtfully designed floorplan with the entertainer in mind! Spacious, open main level is perfect for effortless family gatherings. With the optional loft and rooftop terrace enjoy mountain views to the east and west. 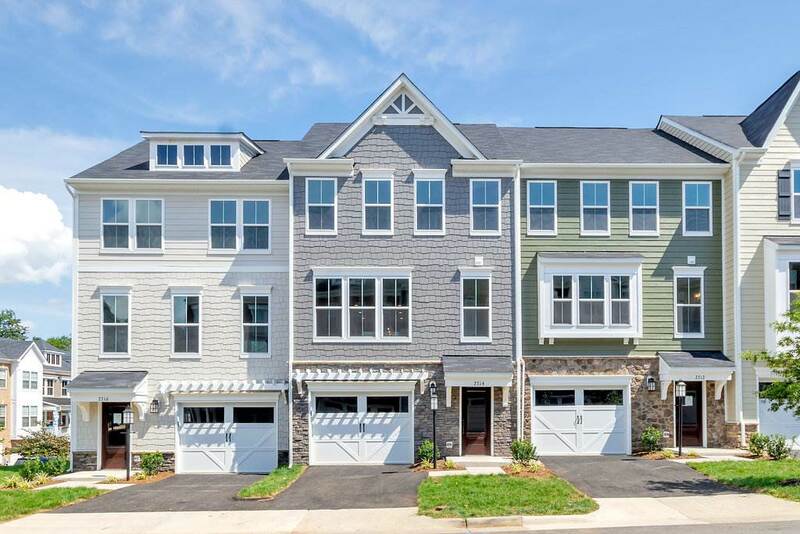 This convenient community is an easy walk to Harris Teeter, Bonefish Grill, Starbucks and more! Stroll to the weekly farmer\'s market at Hollymead Town Center to take advantage of the local produce. 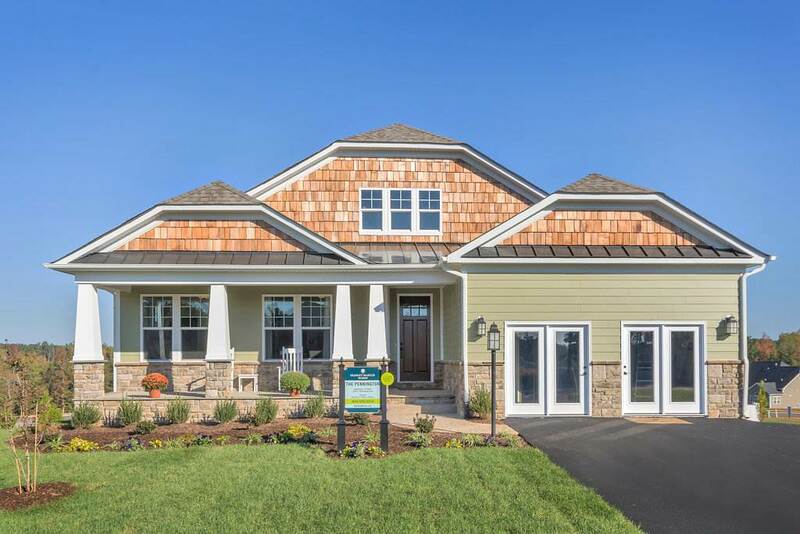 Now selling from the Perry model at 2724 Avinity Lane, Charlottesville, VA 22902. JUNE Delivery! Open Saturday - Wednesday from 11am-5pm and also by appointment. Similar Photos. Lovely community-No HOA-State Rds-Country living at it\'s best-Comcast available. Quality built home in a great location! Make your changes or choose another plan. Builder will customize all plans or will consider Buyer\'s plans. Ask about other lot locations in this area! Comcast available. Ask Agent for Builder\'s website for more information and interactive floor plans. New Construction TO-BE-BUILT Harrison plan 2,063 finished sq. ft. on full basement with optional rec room, full bath and 5th bedroom. Dining room/flex room and study. Rear 2 car garage. Hardwood foyer. Tile surrounds in all baths. Pantry, 42\" maple cabinets, granite, SS appliances. 9 foot ceilings, and cased windows. Mud room. 15 SEER HVAC, Hybrid H2O Heater, and programmable thermostat. Spring Creek features a top ranked golf course, 24-hour gated security, clubhouse w/bar & restaurant, sports club with a pool, fitness center, tennis, basketball miles of walking trails. Only 15 minutes to C\'ville and 35 min to Short Pump and the Richmond area. Free finished rec room with use of sellers preferred lender and title company. To Be Built! Thoughtfully designed floorplan with the entertainer in mind! Spacious, open main level is perfect for effortless family gatherings. With the added loft and rooftop terrace enjoy mountain views to the east and west. This convenient community is an easy walk to Harris Teeter, Bonefish Grill, Starbucks and more! Stroll to the weekly farmer\'s market at Hollymead Town Center to take advantage of the local produce. 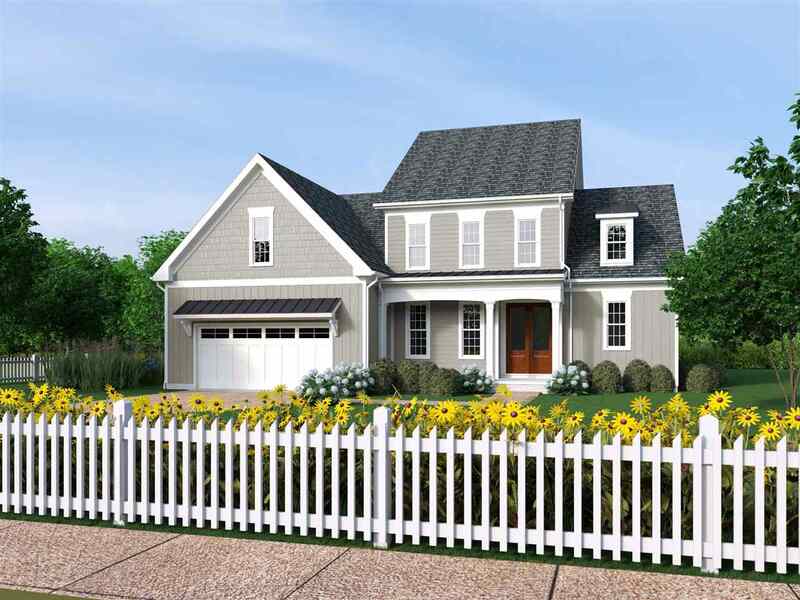 Now selling from the Perry model at 2724 Avinity Lane, Charlottesville, VA 22902. Open Saturday - Wednesday from 11am-5pm and also by appointment. Similar Photos. Details about The Perry \"h\"
New Home To Be Built, New Road installed, LOT 3 is on the left toward the rear behind LOT 1) & Only 5 Minutes to Food Lion, Lowes & WalMart and close to NGIC. Watch the walk through video of a similar home! Wood Floors on the main level, vaulted ceiling in great room. Granite counters, Full basement with two Car Garage, Family Room, 3rd Full Bath and Laundry Room. Photos are of a similar finished home, this one will have a 3/4 porch and one dormer. Still time left to select some finishes. Buy now and make selections. Construction starts April/May 2019, delivery in late Summer early Fall. TO BE BUILT Lexington plan 2,318 finished sq. ft. on full basement with rear 2 car garage. Hardwood in foyer. Tile surrounds in all baths. Walk-in pantry, 42\" maple cabinets, granite, SS appliances. 9 foot ceilings, and cased windows. Mud room. 15 SEER HVAC and programmable thermostat. Spring Creek features a top ranked golf course, 24-hour gated security, clubhouse w/bar & restaurant, sports club with a pool, fitness center, tennis, basketball miles of walking trails. Only 15 minutes to Charlottesville and 35 min to Short Pump and the Richmond area. Photos are of similar home. Free finished rec room with use of sellers preferred lender and title company. 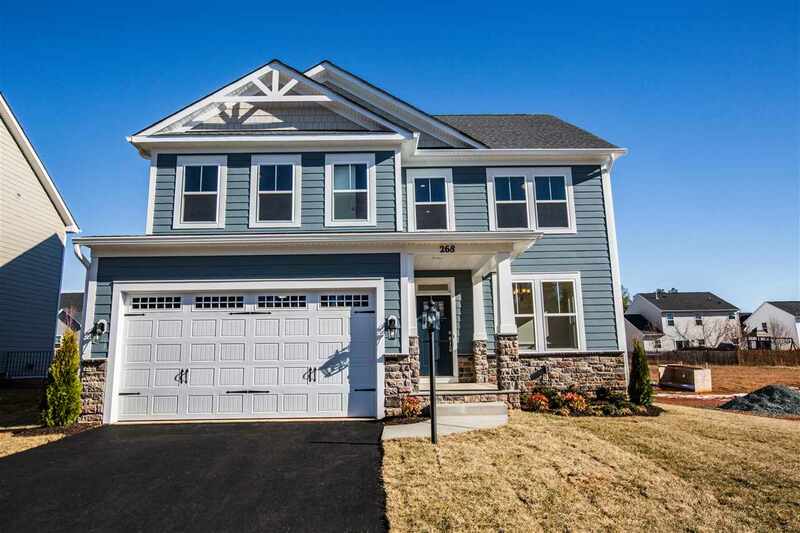 This new home features 2,001 finished SF, 3 bedrooms, 2 baths & attached 2-car garage. The kitchen includes granite tops, island, eat-in area, raised breakfast bar, matching stainless steel appliances & shaker style cabinets. The open floor plan allows for great interaction between friends, family & guests. The master bedroom features a tray ceiling, large WIC & private bath w/ double vanity, separate toilet room, tiled floors & shower. The other 2 well-sized bedrooms are located on the opposite end of the home & have large closets. There\'s a 326 SF unfinished area upstairs for additional storage or future finished space. Outside you\'ll find a 6\'x18\' front porch & 12\'x27\' rear covered porch. PHOTOS FOR EXAMPLE ONLY. TO BE BUILT Chesapeake w/ Main Level Owners Bedroom. 1,912 finished sq. ft. on full basement.With secondary bedrooms on the main level. HW in foyer. Tile surrounds in all baths. 42\" maple cabinets and granite, SS appliances. 9 foot ceilings and cased windows. 15 SEER HVAC and programmable stat. Opt studio and BR w/bath up. Opt rec room, den/bed, bath and flex space in lower level. Spring Creek features top ranked golf course, 24-hr gated security, clubhouse w/bar & restaurant, sports club with a pool, fitness ctr, tennis, basketball miles of walking trails. Only 15 minutes to Charlottesville. Photos are of model home. 1/2 off options up to $40,000 with use of sellers preferred lender and title company. Quality Custom Builder-Country living, minutes from town-No HOA-COMCAST available- BUILDER WILL CUSTOMIZE ALL PLANS- Builder will consider Buyer\'s plans- Ask about other lot locations in this area- Ask for Builder\'s website for more information and interactive floor plans- We have a model home under construction to view. Come See! OPTIONS SHOWN IN PHOTOS MAY NOT BE INCLUDED IN BASE PRICE. Thoughtfully designed floorplan with the entertainer in mind! Spacious, open main level is perfect for effortless family gatherings. With the optional loft and rooftop terrace enjoy mountain views to the east and west. This convenient community is an easy walk to Harris Teeter, Bonefish Grill, Starbucks and more! Stroll to the weekly farmer\'s market at Hollymead Town Center to take advantage of the local produce. 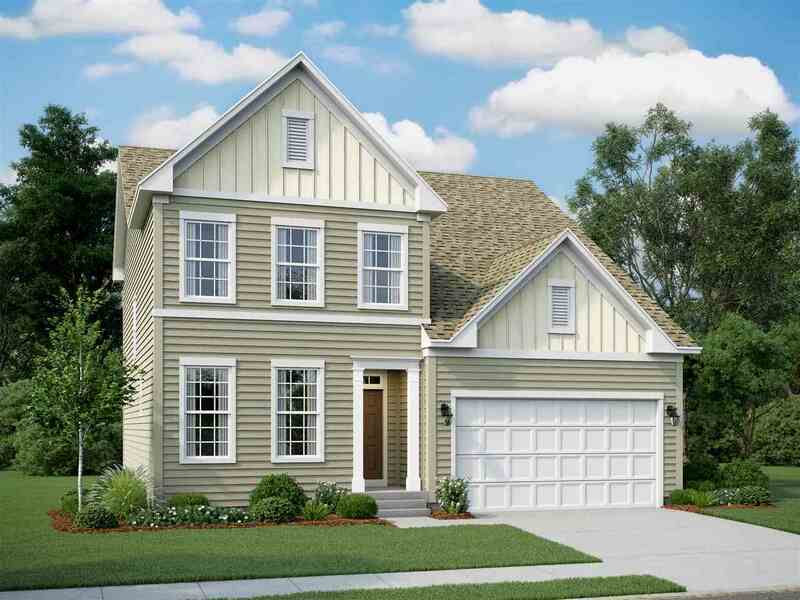 Now selling from the Perry model at 2724 Avinity Lane, Charlottesville, VA 22902. Open Saturday - Wednesday from 11am-5pm and also by appointment. Similar Photos. TO BE BUILT Eliot plan 2.234 finished sq. ft. on full basement. Open floor plan, HW in foyer. Tile surrounds in all baths. 42\" maple cabinets, granite, kitchen island, SS appliances. 9 foot ceilings and cased Low-E windows. 15 SEER HVAC and programmable stat. Opt rec room, den/bed, and full bath in lower level. Spring Creek features top ranked golf course, 24-hr gated security, clubhouse w/bar & restaurant, sports club with a pool, fitness ctr, tennis, basketball miles of walking trails. Only 15 minutes to Charlottesville. 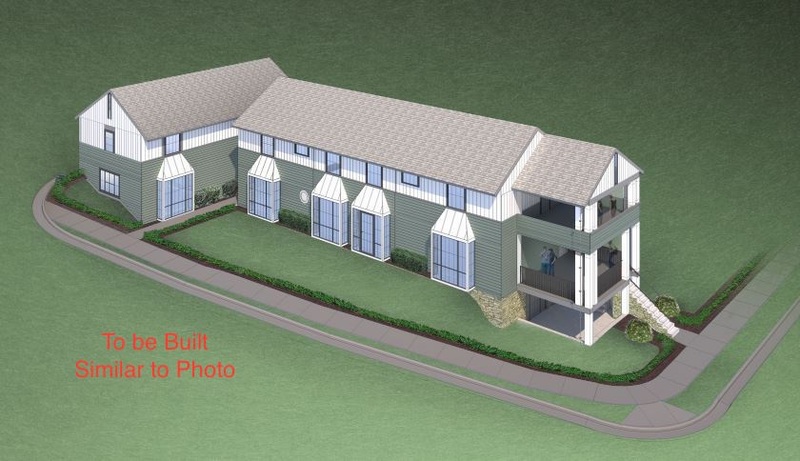 Photos are of a model home. 1/2 off options up to $40,000 with use of sellers preferred lender and title company PLUS up to $7,500 in closing cost assistance! To be built. Fall 2019 delivery. 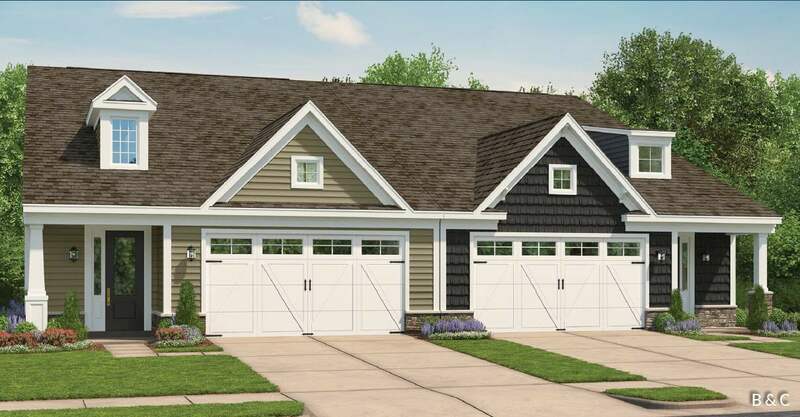 This version of the Bainbridge features 3 floors above grade plus a 1 car front loading garage. interior unit price. The main level features an open concept plan with great room, gourmet kitchen with stainless appliance package, and dining. Upstairs you will find the master suite plus 2 BR, 2nd bath and laundry. Granite counters, hardwood throughout main level, many other high end finishes, and energy efficient Eco-Smart construction featuring 3rd party testing and certification. Additional lots available. Fiber optic internet included in HOA fee. Similar photos. 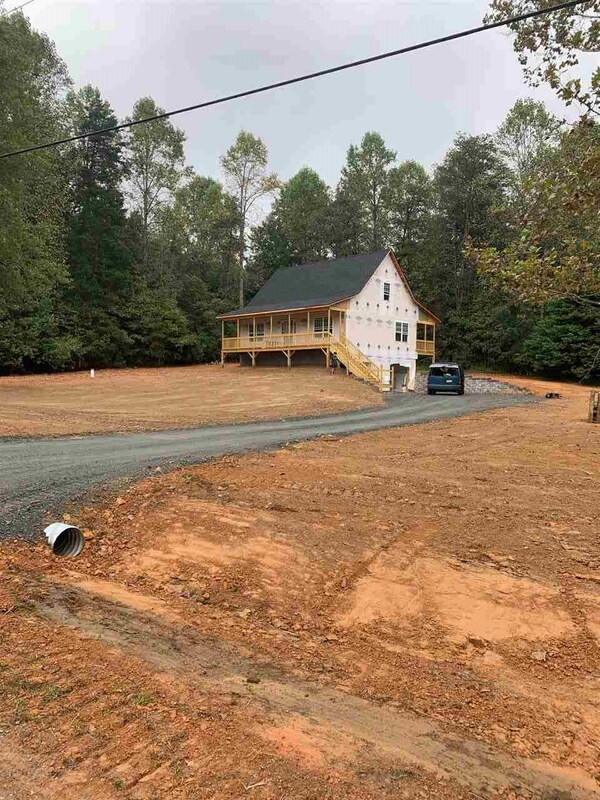 New Home To Be Built, New Road installed, LOT 4 is on the right toward the rear behind LOT 2) & Only 5 Minutes to Food Lion, Lowes & WalMart and close to NGIC. Watch the walk through video on this one! Wood Floors on the main level, vaulted ceiling in great room. Full basement with two Car Garage, Family Room, 3rd Full Bath and Laundry Room. Gorgeous pastoral lot with views in the country. Photos are of a similar finished home, this one will have a full porch and three dormers. Buy now and make selections. Construction starts in April/May 2019, delivery in late Summer early Fall. TO BE BUILT Caldwell plan 1,806 finished sq. ft. on full basement. Owners & secondary bedrooms on the main level. HW in foyer. Tile surrounds in all baths. 42\" maple cabinets, granite, island, SS appliances. 9 foot ceilings and cased low-e windows. 15 SEER HVAC and programmable stat. Opt loft/bedroom and with full bath up. Opt rec room, den/bed, bath and flex space in lower level. Spring Creek features top ranked golf course, 24-hr gated security, clubhouse w/bar & restaurant, sports club with a pool, fitness ctr, tennis, basketball miles of walking trails. Only 15 minutes to Charlottesville. Photos of similar home - shows options. 1/2 off options up to $40,000 with use of sellers preferred lender and title company! Resort style amenity filled, gated, golf course community only 15 minutes east of Charlottesville. Our Marcella is an attached home with 10\' Ceilings and a very spacious layout featuring a main level owners suite. Features also include a beautiful gourmet kitchen with island, upgraded cabinets, granite, stainless steel appliances, tankless hot water heater, and hardwood floors. Upstairs includes two bedrooms, a spacious loft, and a full bathroom. Minutes to I 64 and shopping. TO BE BUILT Chesapeake plan 1,912 finished sq. ft. on full basement. Owners & secondary bedrooms on the main level. HW in foyer. Tile surrounds in all baths. 42\" maple cabinets and granite, SS appliances. 9 foot ceilings and cased windows. 15 SEER HVAC and programmable stat. Opt studio and BR w/bath up. Opt rec room, den/bed, bath and flex space in lower level. PHOTOS ARE OF MODEL HOME AND SHOW OPTIONS. Sales office located in Spring Creek, 910 Bear Island Pkwy., Zion Crossroads. 1/2 Off Options up to $50,000 (a value of up to $25,000) PLUS up to $7,500 in Closing Cost Assistance with the use of Atlantic builders preferred lenders and title company. To-be-built in Spring Creek. Resort style amenity filled, gated, golf course community only 15 east of Charlottesville. Our Marcella is an attached home with a very spacious configuration and featuring a main level Owner\'s suite. Features also include 10\" ceilings a beautiful kitchen with island, granite, stainless steel appliances and hardwood floors. Upstairs includes two bedrooms, a spacious loft, and a full bathroom. Other features include tankless water heater, Hardie plank siding, stone, fireplace, and much more. Unfinished basement can be finished to include a rec room, additional bedroom, and bathroom. New Construction. 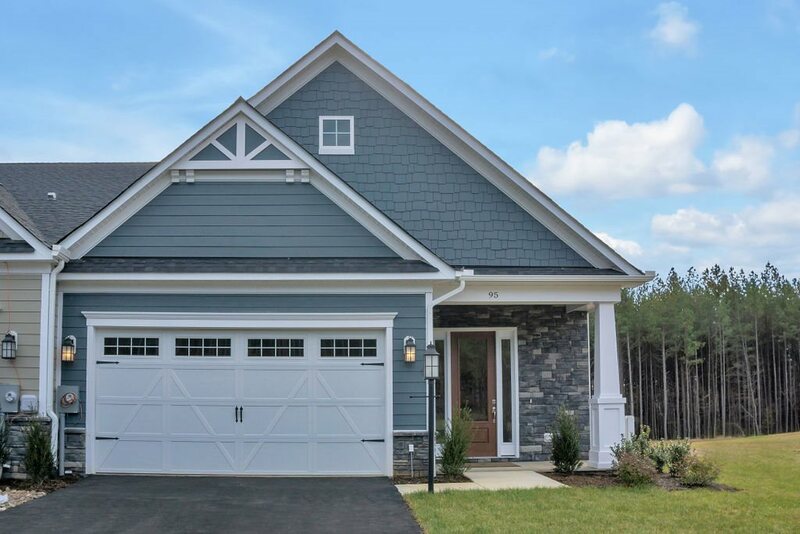 THE PICKERING in Spring Creek, One-level home with a spacious configuration in a resort-style, amenity filled, gated, golf course community only 15 miles east of Charlottesville. Features a beautiful kitchen with island, granite, hardwood floors, 9’ ceilings, wide-cased windows, baseboard and 2-piece crown molding. Other features include tankless water heater, Hardie plank siding, stone, fireplace and much more. 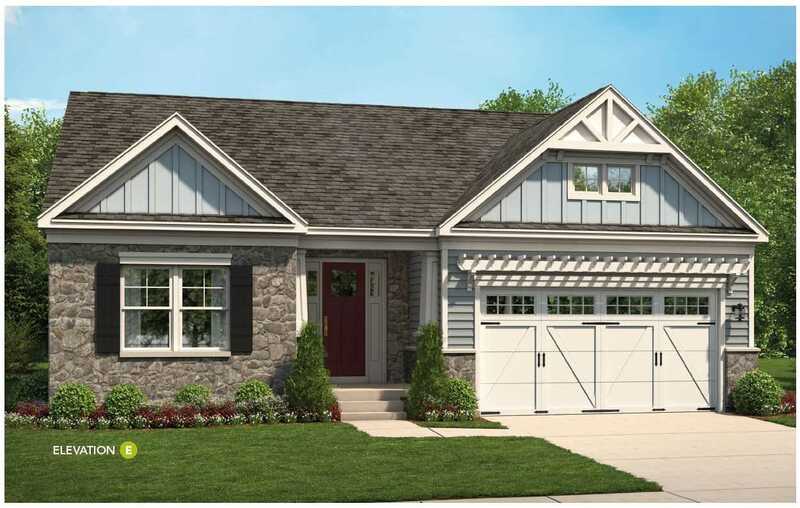 TO BE BUILT Montvale plan 2,392 finished sq. ft. on full basement Hardwood in foyer. Tile surrounds in all baths. Walk-in pantry, 42\" maple cabinets, granite, SS appliances. 9 foot ceilings, and cased windows. Mud room. 15 SEER HVAC, and programmable thermostat. Spring Creek features a top ranked golf course, 24-hour gated security, clubhouse w/bar & restaurant, sports club with a pool, fitness center, tennis, basketball miles of walking trails. Only 15 minutes to Charlottesville and 35 min to Short Pump and the Richmond area. TO BE BUILT - PHOTOS ARE OF A SMIMILAR HOME. 1/2 off options up to $40,000 with use of sellers preferred lender and title company! TO BE BUILT Caldwell plan 1,806 finished sq. ft. on full basement. Owners & secondary bedrooms on the main level. HW in foyer. Tile surrounds in all baths. 42\" maple cabinets, granite, island, SS appliances. 9 foot ceilings and cased low-e windows. 15 SEER HVAC and programmable stat. Opt loft/bedroom and with full bath up. Opt rec room, den/bed, bath and flex space in lower level. Only 15 minutes to Charlottesville. Sales Office located in Spring Creek, 910 Bear Island Pkwy., Zion Crossroads. 1/2 Off Options up to $50,000 (a value of up to $25,000) PLUS up to $7,500 in Closing Cost Assistance with the use of Atlantic builders preferred lenders and title company. CUSTOM BUILDER- MAKE YOUR CHANGES/CHOOSE ANOTHER FLR PLN. 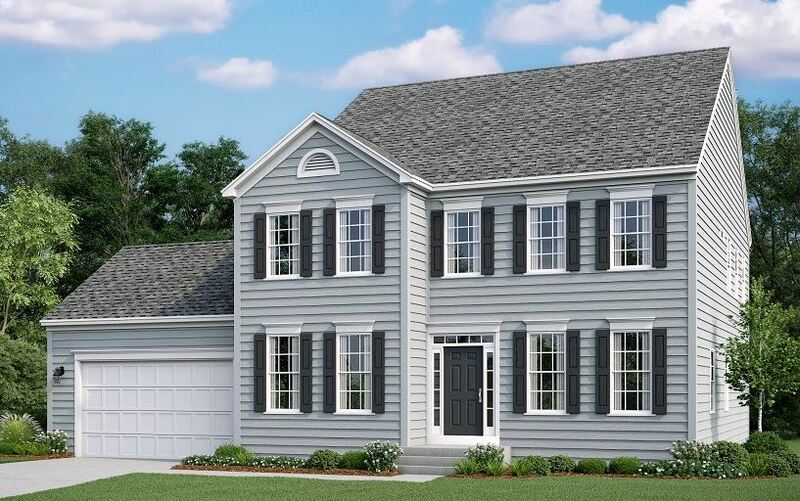 THE YORK W/4BR/2.5 BA PLAN FEATURES 2426 FIN SQ FT, 9\' CEILINGS, HDWD, WIC, DBL VANITIES, SEP TUB/SHWR, CEILING FANS, 2 CAR GAR AND FULL UNFIN BSMT WITH RI. BLDR OFFERING 5K TOWARDS BUYER\'S CC IF BUYER USES 1 OF APPVD LENDERS AND CLOSING AGENT. ASK AN AGENT FOR BLDR\'S WEBSITE FOR ADD\'L MODELS AND PLANS. TO BE BUILT Griffin plan 2,584 finished sq. ft. on full basement. Four bedrooms 2.5 baths. Hardwood in foyer. Tile surrounds in all baths. 42\" maple cabinets, island, granite, SS appliances. 9 foot ceilings, cased windows. 15 SEER HVAC and programmable thermostat. Opt rec room, den/bed, bath in lower level. Spring Creek features a top ranked golf course, 24-hour gated security, clubhouse w/bar & restaurant, sports club with a pool, fitness center, tennis, basketball miles of walking and biking trails. Only 15 minutes to Charlottesville and 35 min to Short Pump and the Richmond area. Photos may show options. 1/2 off options up to $40,000 with use of sellers preferred lender and title company. Just minutes from the Downtown Mall, this home offers main level living at its finest! 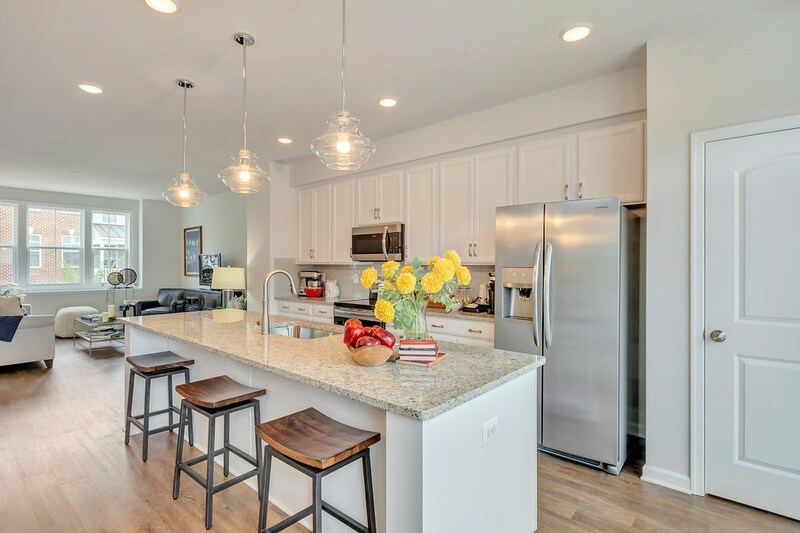 The open concept kitchen has plenty of space perfect for entertaining family and friends, and if you’re a home chef who really loves to cook you can upgrade to a gourmet kitchen. Plenty of options available to personalize the space too-add a fireplace to make it even cozier in the winter and or add a screened porch to relax on warm spring nights. No need to move with your lawn care equipment as yard maintenance is included! Soak up the Carter’s Mountain views while playing with your dog in the neighborhood dog park or enjoy a weekend complete with a dinner and a movie at 5th St. Station, only a mile away! Similar photos. New construction. 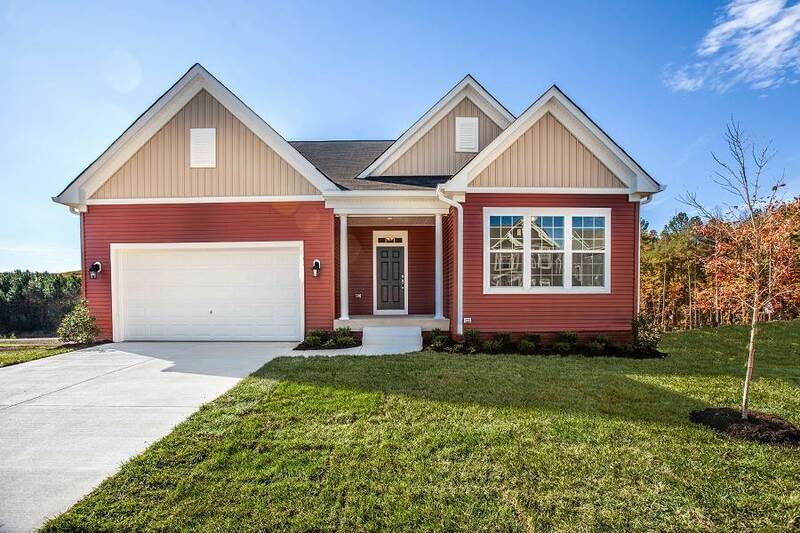 THE SAWYER in Spring Creek, 3,091 finished sq. ft. including rec room. Two-level home with a basement and spacious configuration in a resort-style, amenity-filled, gated golf community only 15 miles east of Charlottesville. Features a beautiful kitchen with island, granite, gourmet ss appliances, hardwood floors, 9\' ceilings, wide-cased windows, baseboard and 2-piece crown molding. Other features include tankless water heater, Hardie plank siding, stone, fireplace and much more. It’s finally here! The Gaines is the worry free main level living option people have been looking for. The open main-level living floor plan features a generous owner’s suite with seated shower and spacious walk-in closet, having everything you need right at your fingertips. The open great room, dining and kitchen area allows easy accessibility and plenty of room to entertain friends and family. Though everything you need on one floor, the upstairs consist of two additional bedrooms and a full bath for others in the household or friends and family when they come to visit. 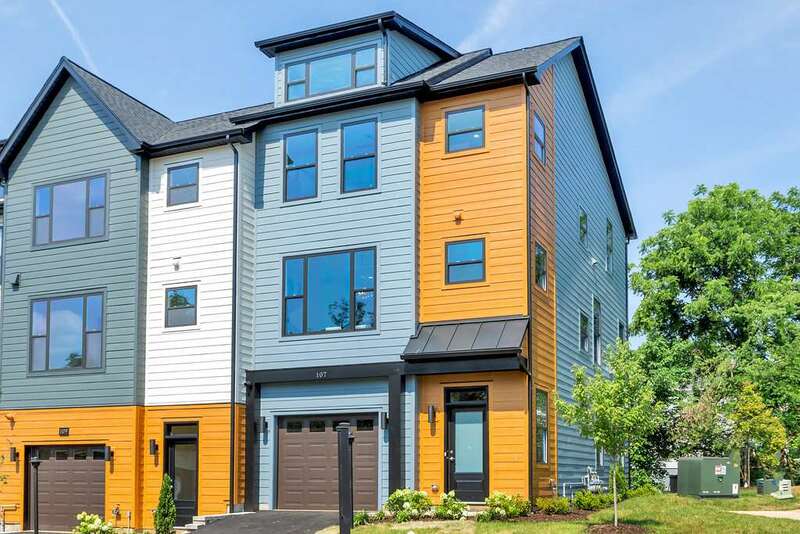 Located in the Heart of Crozet, less than a half a mile from Starr Hill Brewery, Crozet Park and YMCA and Downtown Crozet, it’s everything you need and more! To Be Built. Custom builder will make changes/customize plans. Ask agent for builder~s interactive website to view additional models & floor plan. Energy conscious. Plans have rough-in plumb in bsmt. Builder offers 5K towards buyer\'s CC if buyer uses 1 of approved lenders & title co. Photos may show options not included in base price. No HOA & state roads. High speed Comcast internet available! 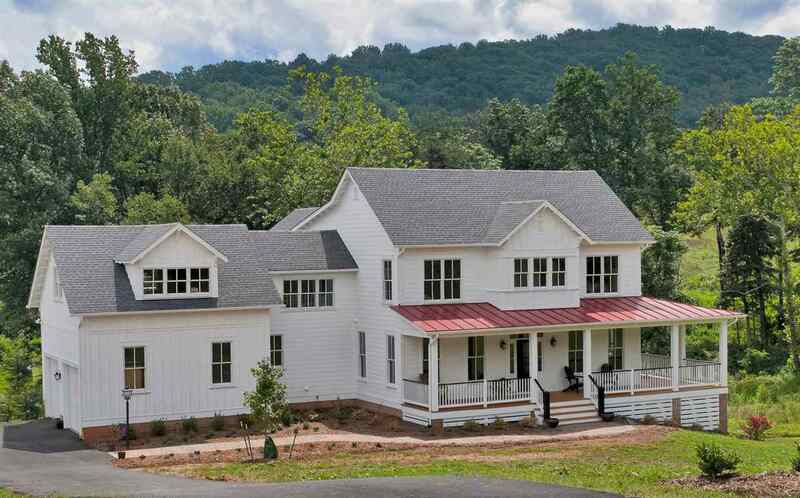 Welcome to Piney Mountain, Palmyra, VA. Be among the first and the few to live in Fluvannna County\'s newest large lot enclave of fine homes. 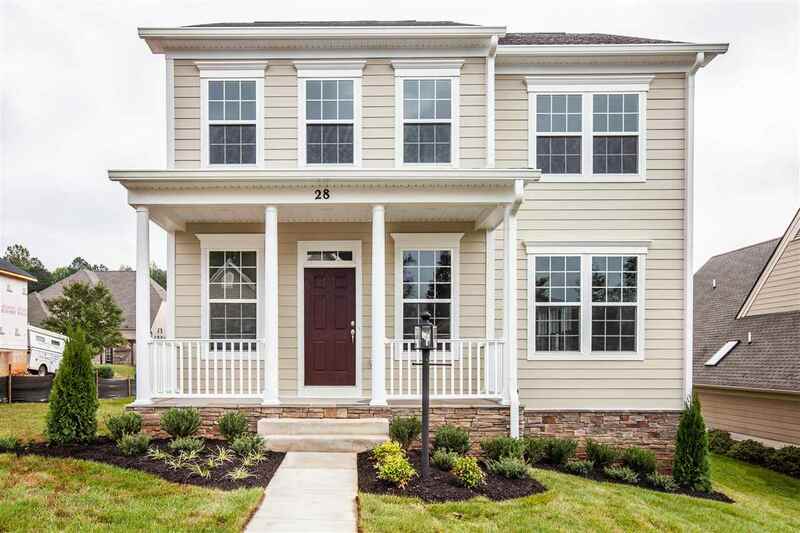 The Radford, a 2 story with Craftsman flair AND a Flexible floor plan. Work with Meade Construction to create classic space and lifestyle. 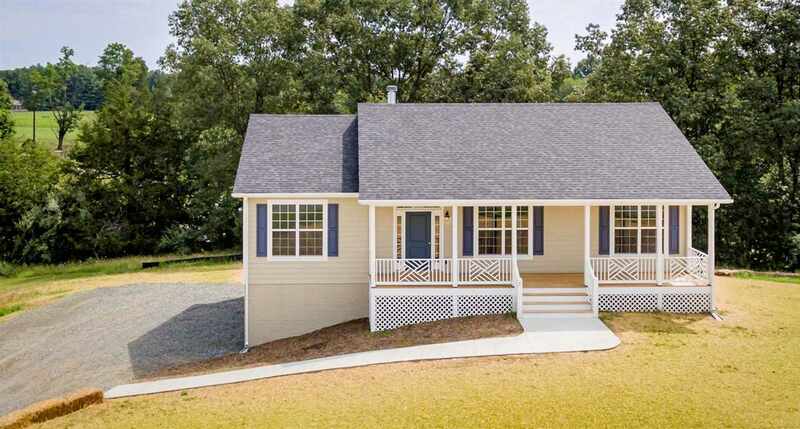 Fiber Cement Siding, Stone accents and inviting front porch welcome you home. Hardwood floors, crown and chair rail moldings accent 9 ft. ceilings. Features: granite counters, maple cabinets, gas f/p, upgrade fixtures, 16 SEER HVAC and more. Convenient to schools, shopping and dining near Lake Monticello, as well as Charlottesville & Zion Crossroads. Golf, wineries and Rivanna / James River access nearby. Privacy. No HOA. Well and Septic. RVs, Horses, Chickens OK.
TO BE BUILT Ashland plan 2,890 finished sq. ft. on full basement. Hardwood in foyer. Tile surrounds in all baths. 42\" maple cabinets and granite, SS appliances. 9 ft. ceilings,and cased windows. 15 SEER HVAC and programmable thermostat. Opt rec room, den/bed, and bath in lower level. Third upper level with full bath and Home Office/Bedroom. Spring Creek features a top ranked golf course, 24-hour gated security, clubhouse w/bar & restaurant, sports club with a pool, fitness center, tennis, basketball miles of walking and biking trails. Only 15 minutes to Cville and 35 min to Short Pump and Richmond area. Photos show options. 1/2 off options up to $40,000 with use of sellers preferred lender and title company! TO BE BUILT Chelsey plan 2,909 finished sq. ft. on full basement. Hardwood in foyer. Tile surrounds in all baths. 42\" maple cabinets and granite, SS appliances. 9 ft. ceilings,and cased windows. 15 SEER HVAC and programmable thermostat. Opt rec room, den/bed, bath and wet bar in lower level. Spring Creek features a top ranked golf course, 24-hour gated security, clubhouse w/bar & restaurant, sports club with a pool, fitness center, tennis, basketball miles of walking and biking trails. Only 15 minutes to Charlottesville and 35 min to Short Pump and the Richmond area. Photos show options. 1/2 off options up to $40,000 with use of sellers preferred lender and title company! To be built. Fall 2019 delivery. 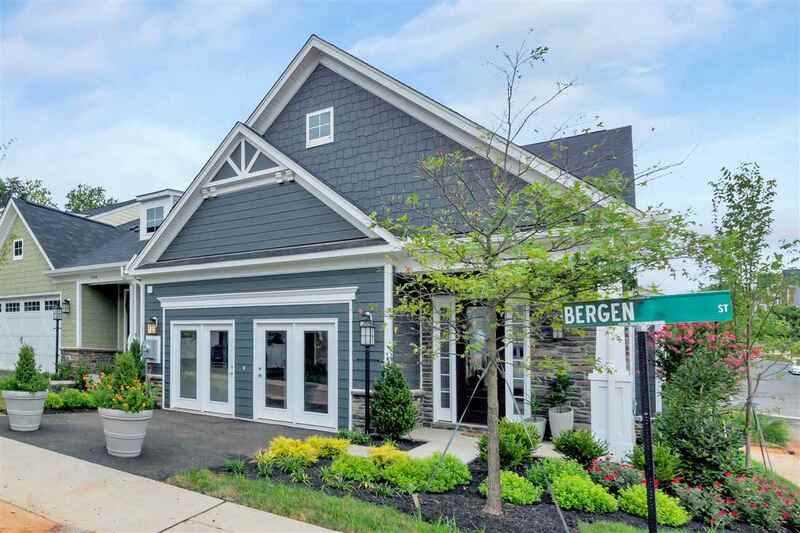 This version of the Bainbridge features 3 floors above grade plus a 1 car front loading garage.End unit price. The main level features an open concept plan with great room, gourmet kitchen with stainless appliance package, and dining. Upstairs you will find the master suite plus 2 BR, 2nd bath and laundry. Granite counters, hardwood throughout main level, many other high end finishes, and energy efficient Eco-Smart construction featuring 3rd party testing and certification. Additional lots available. Fiber optic internet included in HOA fee. Similar photos. New construction. 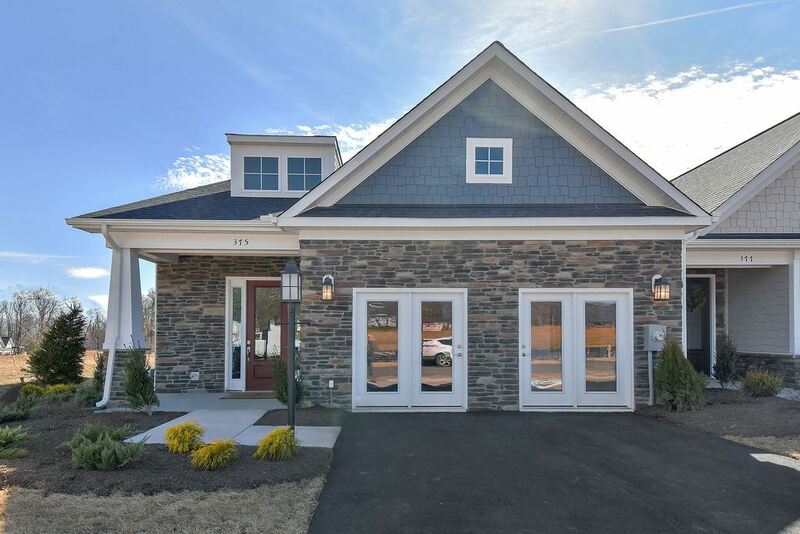 THE PENNINGTON in Spring Creek, One-level home with a basement and spacious configuration in a resort-style, amenity-filled, gated golf community only 15 miles east of Charlottesville. Features a beautiful kitchen with island, granite, hardwood floors, 9\' ceilings, wide-cased windows, baseboard and 2-piece crown molding. Other features include tankless water heater, Hardie plank siding, stone, fireplace and much more. 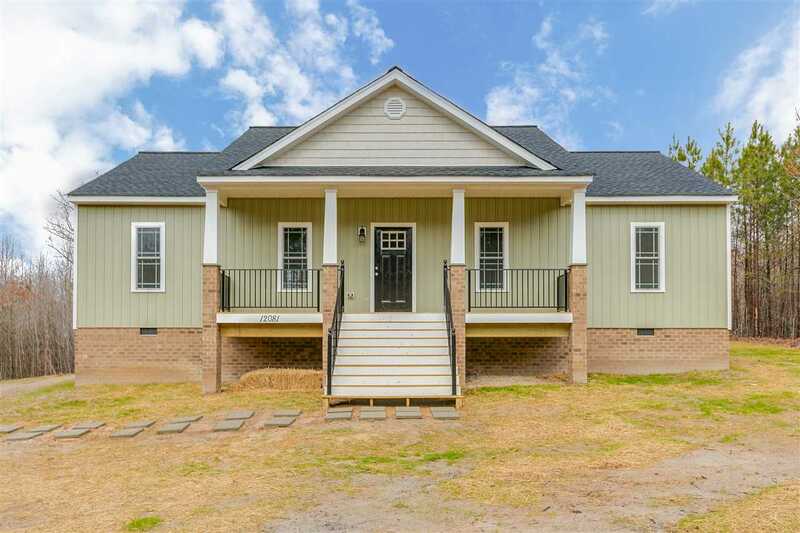 New Construction in Earlysville & only minutes to Airport & Hollymead Towncenter! Watch the walk through video of this model with one level living, all bedrooms and washer/dryer hook-ups on main level! Wood Floors on the main level, vaulted ceiling in great room. Full basement with two car garage, Family room, 3rd bath and Laundry Room. Hardie-plank siding on exterior. Chamfered porch posts and Chippendale Railings. Gorgeous 3.6-acre wooded lot in the country. Ready at end of Summer 2019! Huntley. 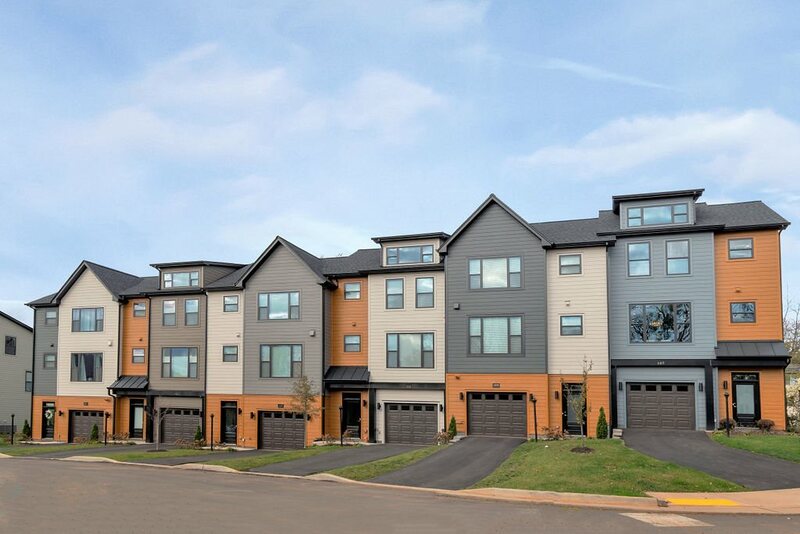 An established community in the City featuring walk-ability, easy access to all things C-ville, UVA and I-64. The Belmont featuring 2 story living with an open floor plan on the main level, 3 bedrooms and 2 baths upstairs. Price includes Elevation C with double front porch, hardwood flooring, granite counters, stainless appliances, & ceramic tile in both baths. Ask about our Eco-Smart approach to energy efficiency and comfort via insulation and equipment verified w/ third party HERS Score. Enjoy choosing your finishes with the assistance of our team in our convenient design center. Additional floor plans and lots available, limited home-sites available for the Belmont. Similar photo. Just minutes from the Downtown Mall, this home offers main level living at its finest! 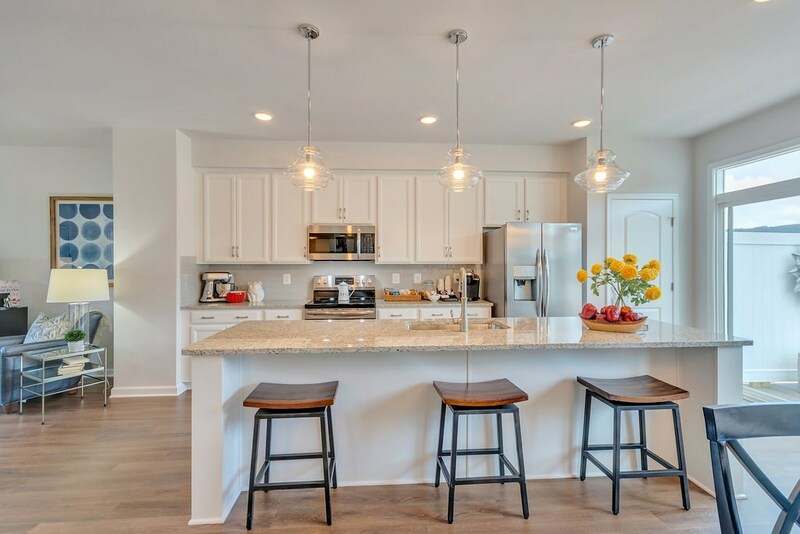 The open concept kitchen has plenty of space perfect for entertaining family and friends, and if you’re a home chef who really loves to cook you can upgrade to a gourmet kitchen. Plenty of options available to personalize the space too-add a fireplace to make it even cozier in the winter and or add a screened porch to relax on warm spring nights. No need to move your lawn care equipment as yard maintenance is included! Soak up the Carter’s Mountain views while playing with your dog in the neighborhood dog park or enjoy a weekend complete with a dinner and a movie at 5th St. Station, only a mile away! Similar photos. You can have it all with this wonderful Villa! Main level living is perfect for those looking low maintenance, easy living, with a grand first floor owner’s suite. Want to lock-and-leave to travel throughout this beautiful area? You couldn’t find a better home or area with included lawn care and upkeep services. Want to have friends or family in town for weekend? There is plenty of room to host and entertain with a spacious great room and open kitchen! Elegant 10’ ceilings create a light-filled atmosphere that makes this open floorplan feel even more spacious. Located in the Heart of Crozet, less than a half a mile from Starr Hill Brewery, Crozet Park and YMCA and Downtown Crozet, this is truly a hidden GEM in our community. 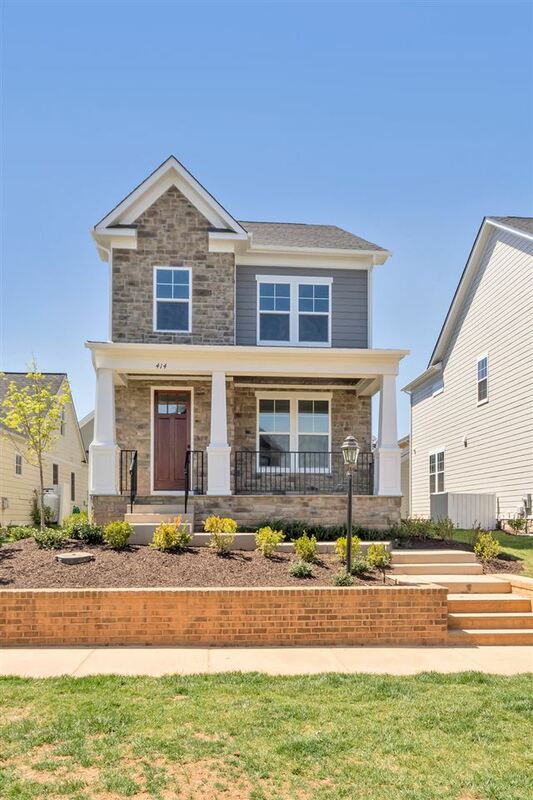 COMMUNITY CLOSEOUT SAVINGS ON OUR FINAL LOT: FINISHED BASEMENT, $10,000 TOWARD OPTIONS & ALL CLOSING COSTS PAID THROUGH 4/30! 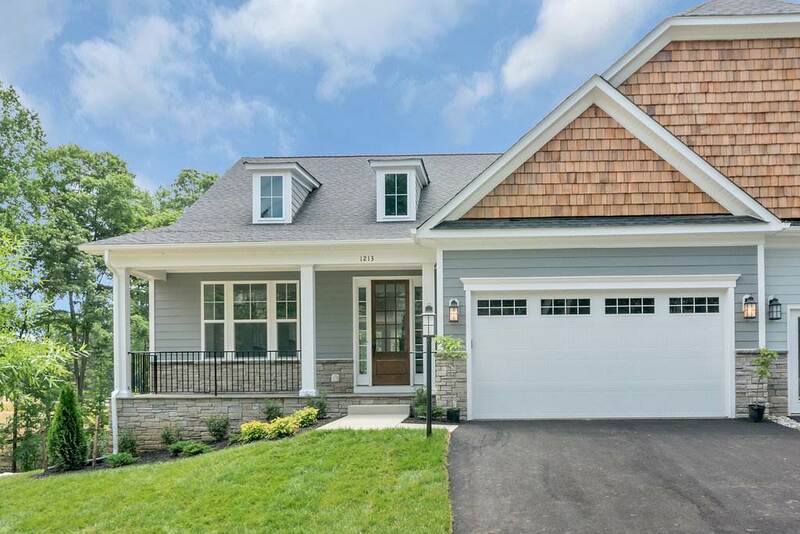 The Ferncliff on lot #58 boasts an open-concept design & many high-end included features including upgraded cabinetry, granite & stainless appliances, hardwood stairs & more. And all new homes are Tested & HERS® scored by a 3rd party energy consultant & inspected by a 3rd party for quality! 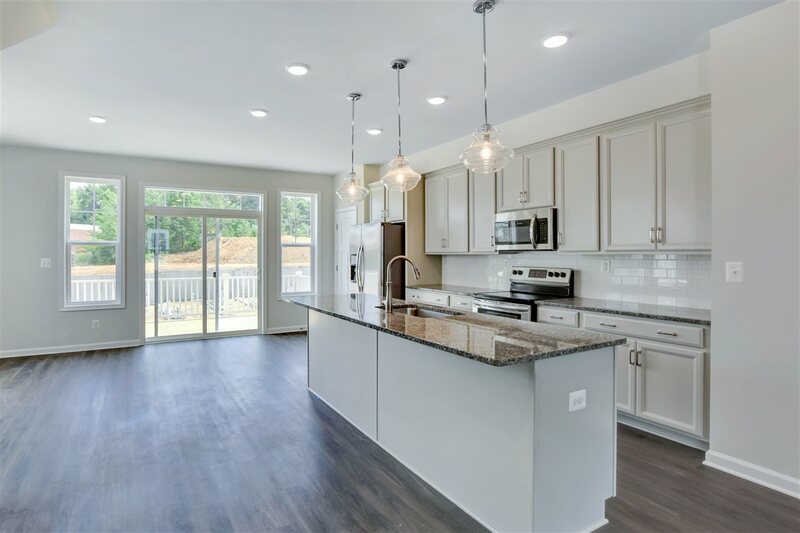 Last opportunity to build this lovely new detached home with unfinished walkout basement in Willow Glen, conveniently located minutes from Hollymead Town Center, CHO Airport, NGIC, and DIA. 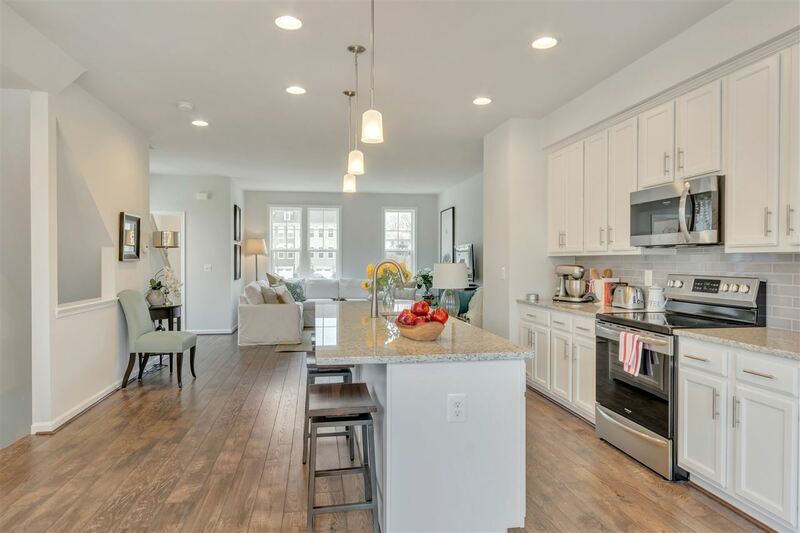 The Waverly offers an open concept floorplan with stunning kitchen perfect for entertaining! You\'ll have room to spare with the 8\' island and generous countertop and cabinet space. Upstairs, your owner\'s suite awaits with its large walk-in closet and private bathroom complete with water closet and double vanity. Two additional bathrooms, a laundry room, and a full bathroom complete the upper level. Options to add a 3rd story loft with bath or finish the basement with a rec room, bedroom, and/or bathroom. Choose your finishes to make this home your own! 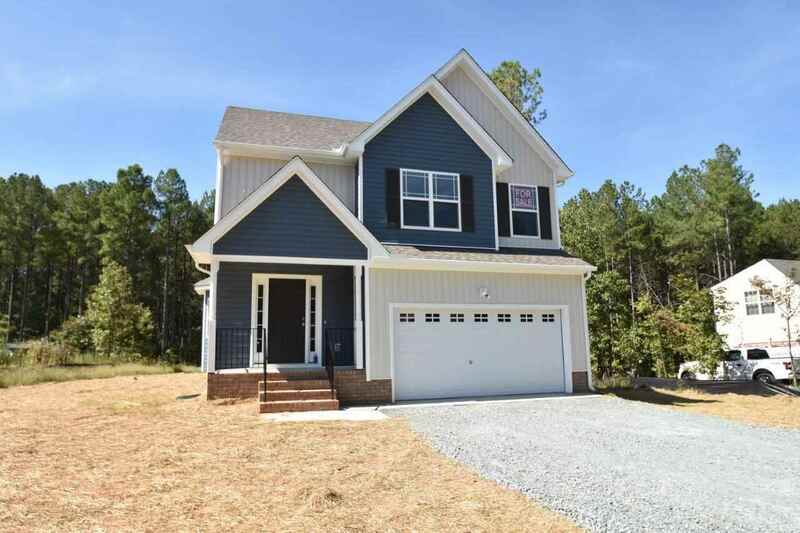 New Construction in Earlysville & only minutes to Airport & Hollymead Towncenter! Watch the walk through video of this model with one level living, all bedrooms and washer/dryer hook-ups on the main level! Wood Floors on the main level, vaulted ceiling in great room. Full basement with two car garage, Family room, 3rd bath and Laundry Room. Hardie-plank siding on exterior. Chamfered porch posts and Chippendale Railing. Ready at the end of Summer 2019! 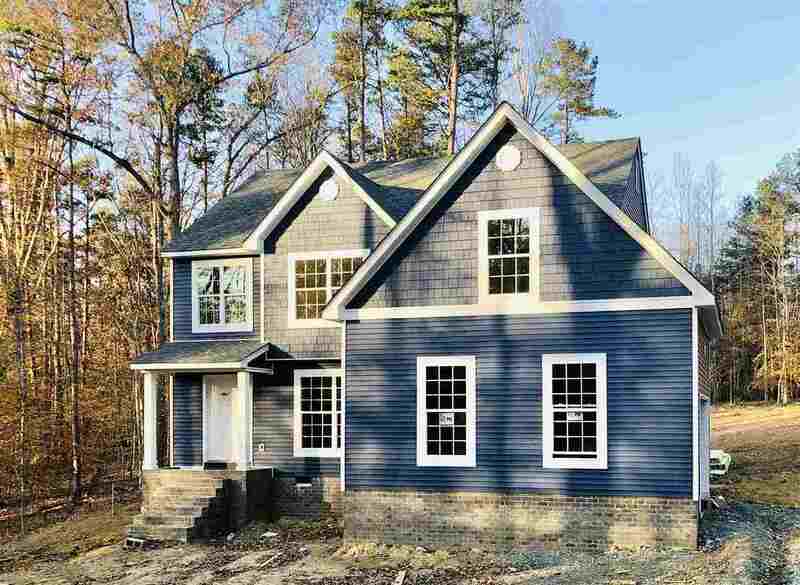 New Proposed Construction Listing in Albemarle! Charlottesville Va Contemporary Homes for Sale.